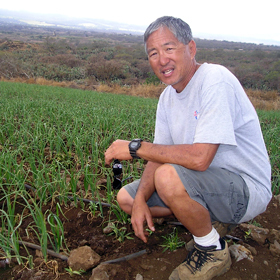 DROUGHT LOOMS » Maui farmer Benny Yamamoto said that as a result of the drought, deer have been eating not only his crops but also his irrigation lines. The 62-foot-long voyaging canoe completed its longest voyage -- 8,500 miles -- in the last 30 years. Henry Calucag will likely be questioned in John Elwin's murder, prosecutors say. State officials have asked users in certain regions to reduce their water consumption. The eight trailers on Makiki Heights Drive will be the new permanent home for Halau Ku Mana New Century Public Charter School. From Baldwin to basho, Kuhaulua's back home. Kalani's Carpenter among 6 MLB Hawaii draftees. Activists urge hotel management to act immediately on harassment allegations. Senators have postponed action on immigration reform because of their failure to get past a procedural hurdle.